Ever since Peyton was born I have wanted a locket with her picture on it, but I never really knew where to go. I had seen lockets for sale but never knew how I was going to get a picture to be the perfect size to fit inside. Well, PicturesOnGold.com does it all. 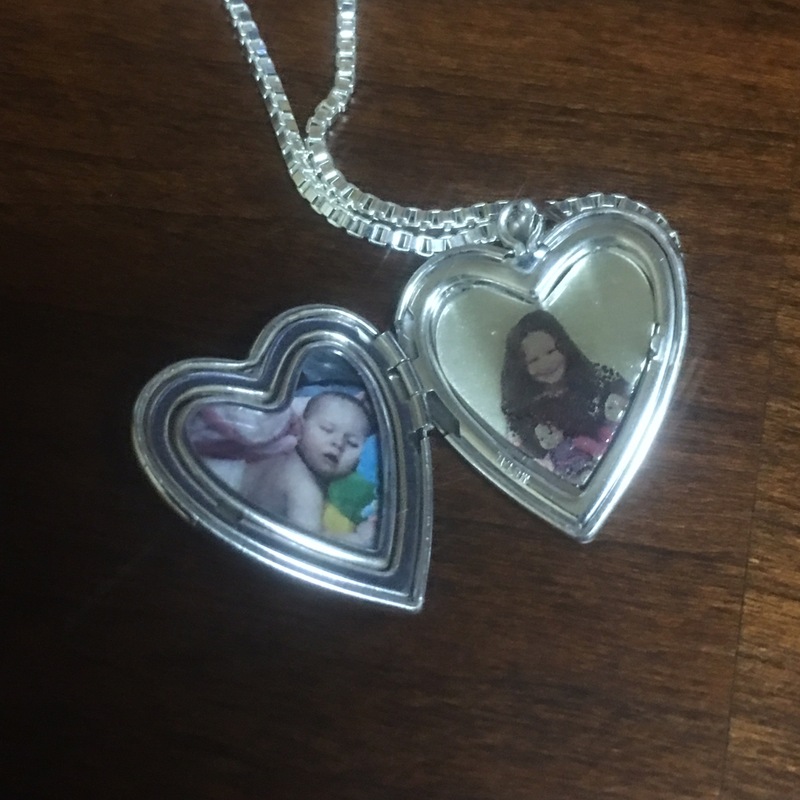 You can make a custom, one of a kind locket and personalize it with photos. All you have to do is log on to the computer, pick your locket, choose which features you like and upload some photos. It’s that simple! Last week, I went online and designed my own locket. 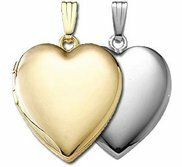 I chose a silver heart locket and engraved a silhouette of a mom and baby on the front, uploaded 2 photos of Peyton and hit send. Within a few days, the locket arrived on my doorstep. It was super fast! There are 3 sizes of heart lockets I could have chosen from as well as 3 finishes. The choices for engraving the locket are abundant. And you have 3 choices for how you would like to add a photo. 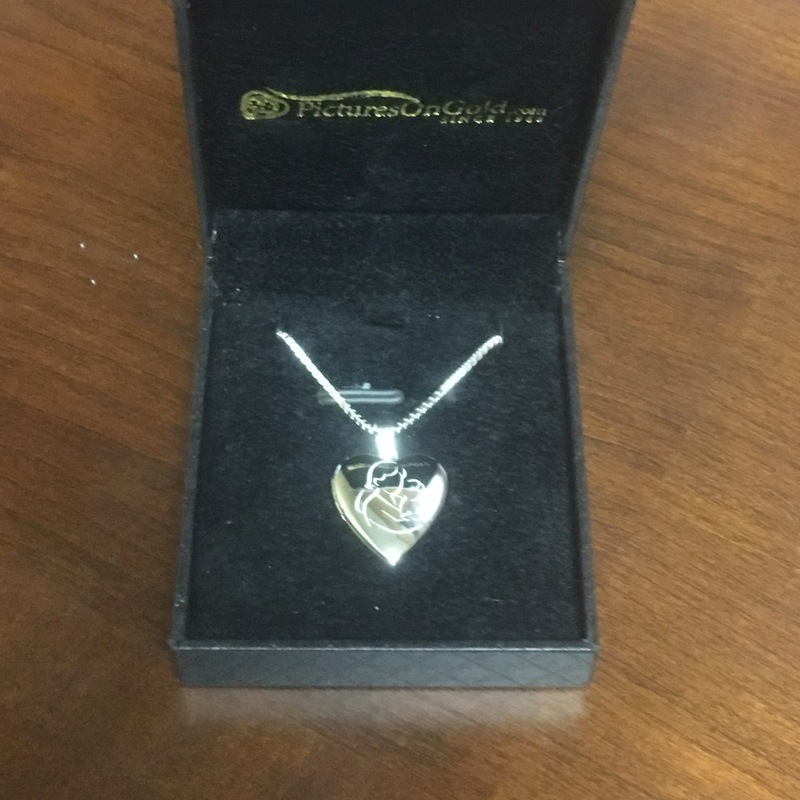 You can have the photo laser engraved in either color or black and white or have a photo inserted into the locket. I really had a blast designing my own locket. For myself, I chose a silver heart shaped locket. Then it was time to click through the clip art until I found the right silhouette design. Once I chose the silhouette I was on to choosing what was going to be inside the locket. I could have chosen to write a little message or 2 photos. I chose 2 photos, one of when Peyton was a baby and one from earlier this year. Then I finished my order. It took me about 15 minutes to complete my order, mostly because I couldn’t make up my mind about which silhouette I wanted to use. I absolutely love my locket. I plan on wearing it every day. If you are looking for a gift idea for a mom or grandmother this might be the perfect gift. You could add pictures of the children or grandchildren to the locket. Or if you have a pet enthusiast you could also add pet photos! You can also add engraved messages. The lockets are waterproof, scratchproof and come with a lifetime guarantee! No need to cut up your treasured photos!